Having toured the actual Maison de Verre (Glass House) in Paris, I was curious to see how the exhibit could possibly compare to the ingenious interior design and workings of this 1932 home. 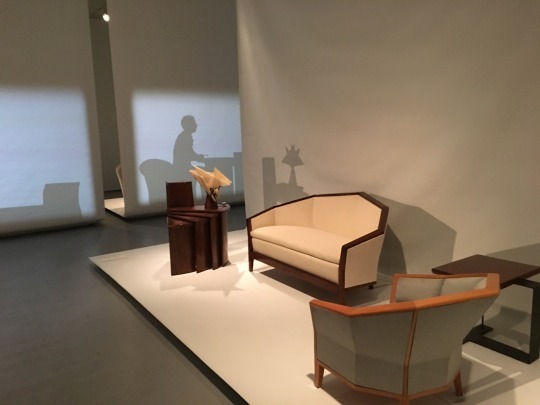 But in using virtual reality and clever silhouette images, the exhibit is as innovative as the house was. Chareau combined industrial glass, wrought iron, and precious woods in highly original and daring ways and fine craftsmanship. 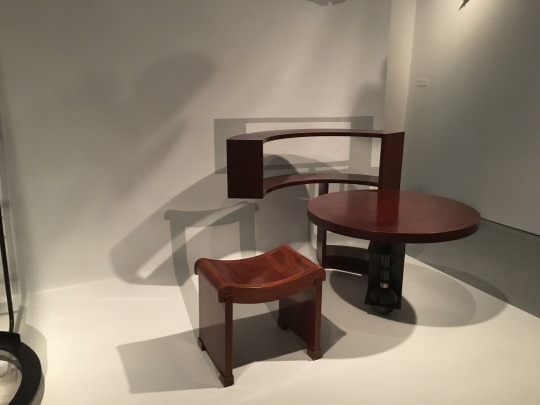 Many actual furniture pieces and lighting are in the exhibit, but the other surprise was learning that Pierre Chareau and his wife Dollie were patrons of the arts. 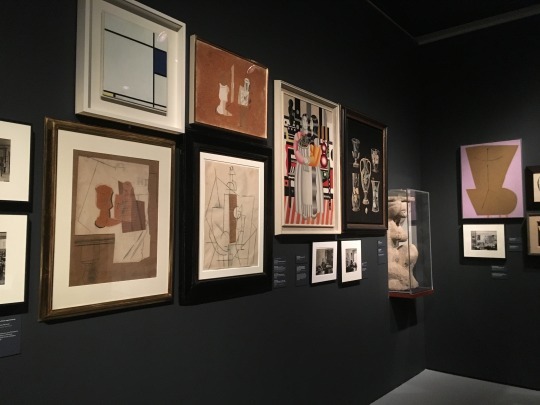 Several works by Picasso, Piet Mondrian, Amedeo Modigliani, Jacques Lipchitz, and Max Ernst are on view as well. The exhibition also places his work in the cultural and historical context of the era, including Paris during the German Occupation, the couple’s exile to NYC, and his friendship with and house commission for Robert Motherwell. If you love design, art, architecture, and history, don’t miss this exhibit.